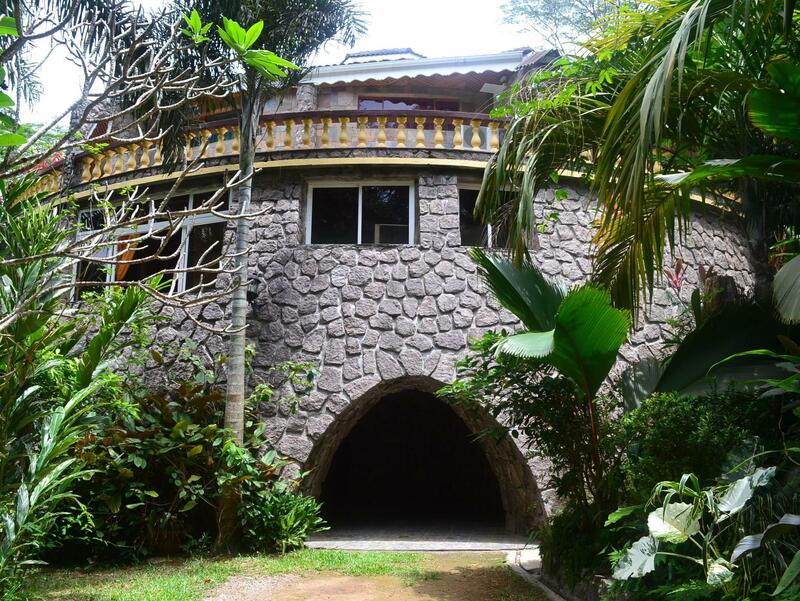 ﻿ Le Triskell Guest House Kepulauan Seychelles. JIMAT di Agoda.com! Ada soalan mengenai Le Triskell Guest House? Sama ada anda melancong atau ke luar kawasan kerana kerja, Le Triskell Guest House merupakan pilihan penginapan hebat ketika melawat Kepulauan Seychelles. Dari sini, tetamu boleh menikmati akses mudah kepada semua yang bandar meriah ini boleh tawarkan. Bagi anda yang ingin pergi agak jauh, Kelab Golf Seychelles, Kampung Kraftangan, Mahe - Lapangan Terbang Antarabangsa Seychelles merupakan beberapa daya tarikan untuk pelawat. Menawarkan tetamu hotel perkhidmatan yang unggul dan pelbagai kemudahan, Le Triskell Guest House komited untuk memastikan penginapan anda berada di tahap seberapa selesa yang mungkin. Kemudahan utama hotel termasuklah Wi-Fi di tempat awam, tempat letak kereta, pengangkutan lapangan terbang, penjagaan kanak-kanak, restoran. Semua bilik tetamu menawarkan pelbagai jenis tahap keselesaan. Banyak bilik turut menyediakan televisyen skrin rata, bilik larangan merokok, penyaman udara, pemanas, meja untuk memuaskan hati tetamu. Senarai lengkap kemudahan rekreasi boleh didapati di hotel, termasuk taman. Nikmati perkhidmatan yang sukar ditandingi dan lokasi benar-benar berprestij di Le Triskell Guest House. Hi thanks 50dollar was for 2 person and it was 3 course menu + dessert and wine. The rooms are spacious and beautifully decorated. Own balcony space with great views. Comfortable beds. Breakfasts are fresh, tasty and healthy. Owners kind and helpful. I travelled to the Seychelles with my parents and a friend who stayed at a different guest house. I am very pleased that we chose to stay at Le Triskell: Owners Christian and Shirley were very kind and helpful and organised our car hire for us. They had plenty of good advice for us regarding beaches to visit and things to see, which was useful as we hadn't come particularly prepared. On a few evenings we had dinner with them at Le Triskell in the evening and we all felt that the food they prepared for us was better than what we had in restaurants on the island. 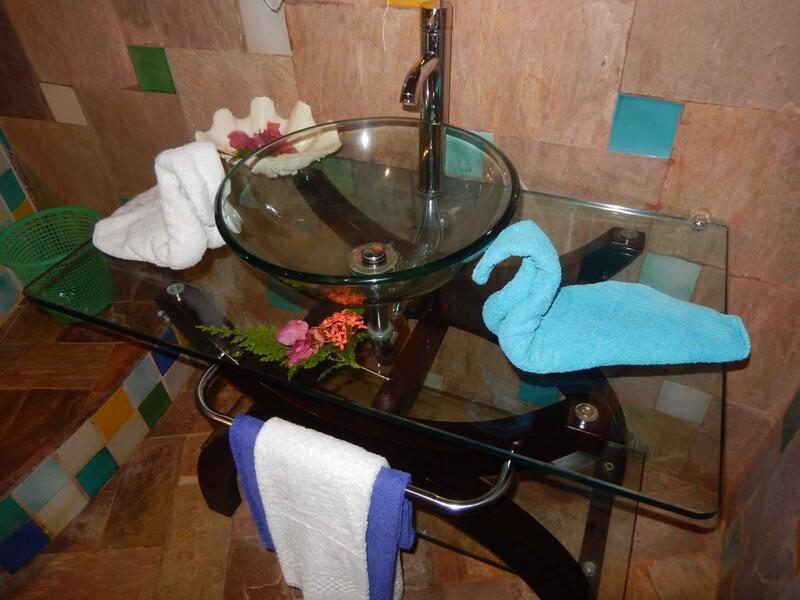 Our rooms were spacious with huge bathrooms, all individually and charmingly decorated. There was air-con, and a big window onto a terrace with a magnificent view down a tropical hill to the sea. The breakfasts were delicious with fresh fruit from the garden and choice of bread and eggs and bacon. The location was handy for travelling around the island, once we had got used to the very steep hill roads! There were a couple of shops nearby to buy water and other day to day essentials and it is only a short trip to the airport (yet we didn't noticed any airplane noise). I would highly recommend Le Triskell for its comfort, simplicity and charm. I would recommend Le Triskell Guest House to any person wanting to fly fish before departing on another island fishing trip. The owners were just marvelous people, I consider them friends, whom went out of their way to show us Mahe while sharing their everyday life on Mahe. Liebevoll eingerichtete Zimmer mit Klimaanlage und Kühlschrank Herzliche Gastgeber, die einen unbeschwerten Urlaub ermöglichen Auf Wunsch leckeres Abendessen. Mietwagen empfohlen, der Anfahrtsweg ist etwas abenteuerlich. Alles bestens, das kleine Hotel ist wirklich empfehlenswert. der guesthousebetrieber christian ist sehr um das wohl seiner gäste bemüht und stets sehr nett uns zuvorkommend. auch die lage in den bergen inmitten eines wunderschönen waldes ist für ruheleibende reisende sehr gut. das guesthouse liegt jedoch relativ weit weg von allen sehenswürdigkeiten mahes, da der bus aber 10 minuten entfernt ist, ist das kein problem. ein großes defizit ist die qualität der zimmer selbst, die dringend eine renovierung benötigen. sie sind sehr dunkel und die räume riechen recht muffig. Das Guesthouse ist zwar etwas abseits gelegen, aber aufgrund der Haus- / Zimmergestaltung und dem guten selbstgemachten Essen eine Reise wert. Quién dice que en seychelles solo se puede estar en Hoteles 5*? Guest house , con vistas impresionantes, las habitaciones con una cuidada decoración, un baño enorme y unas bonitas vistas. Lo mejor sin duda, los anfitriones. Se desviven por hacerte la estancia agradable. Se involucran en aspectos que no les concierne a ellos, para que tu viaje en Mahé sea perfecto......Muy recomendable!!!! Quel accueil chaleureux et amical de Shirley et Christian!! Les chambre sont nichées au coeur de leur jardin fleuri et abondant. Tous deux vivent au rythmes des départs et des arrivées de leur convives avec une amabilité et une gentillesse rares. les dîners sont préparés avec soins et la qualité est au rendez-vous, en toute simplicité, presque un repas en famille. Merci à vous, et futurs voyageurs, allez y passer une ou deux nuits sans hésiter. Nous avons été accueillis le 23.02.2013 par le propriétaire, et avons partagé un repas avec eux. ils sont vraiment très sympathiques et près à vous aider en cas de besoin. Le repas créole cuisiné par le propriétaire était merveilleux et nous espérons pouvoir un jour retourner à Mahé et leur rendre visite. Etablissement à recommander.